A lot’s been happening with the project lately so I’ve not had the time to write everything up but thinking back over the research I’ve been doing, I think it’s important to mention gear inefficiencies. The problem with this setup is that these types of motors are built for speed rather than torque, and that’s not what’s required for this wheelchair project. To reduce the speed of the motors and convert this to torque requires gears. 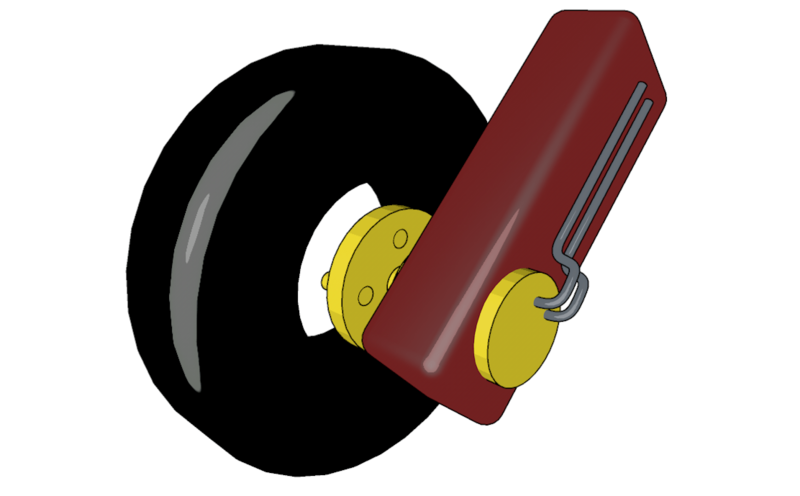 Another advantage of this method is that because the motor isn’t embedded in the wheel, it’s less likely to get damaged. Considering that the motors will be one of the most expensive parts of the wheelchair, this is pretty important. However, the main problem with this is that it’s adding more elements into the system, and the more elements you have, the more likely it is that something will go wrong. In this case, most likely it would be a weak link in the chain. 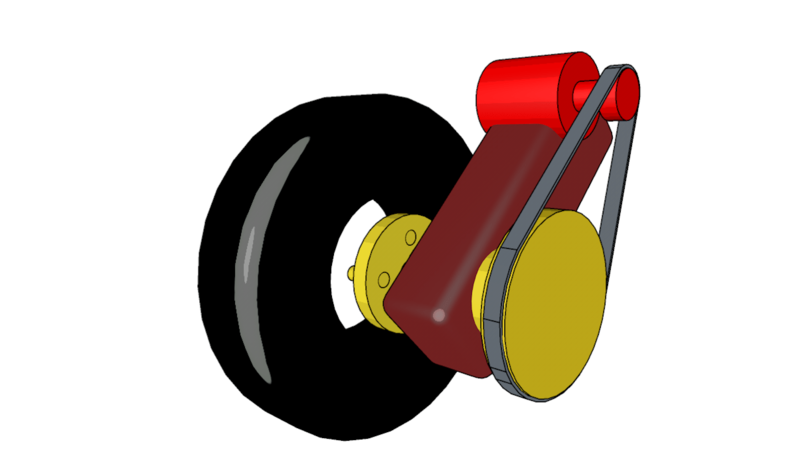 There needs to be enough room between the motor and driven sprocket so that the motor can actually grip the chain, it’s bulky, and the chain would need constant lubrication and maintenance. In light of this, I think it possible to have the best of both worlds. Here the motor sits right against the hub sprocket and eliminates the chain. According to societyofrobots.com this method, using two spur gears, is 90% efficient. Although there is still some loss, it’s better than 80%. There are other concerns too, such as having more fabrication to do, dirt/stones getting into the gears, if the axle bends then it might bend the sprocket or motor shaft, etc. However, it could be encased within a housing, would be easier to replace parts, is somewhat compact, and importantly it gives the opportunity to change gear ratios. 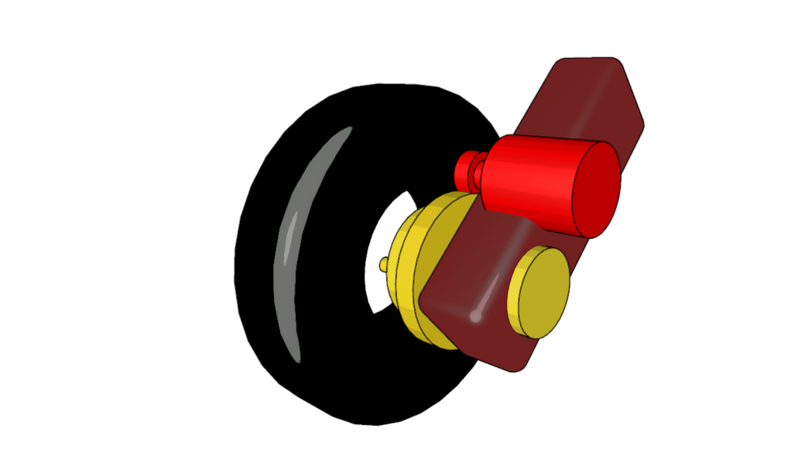 As this post is a few days late, I have since been thinking about hydraulic motors which could also be embedded in the hubs. Hydraulics might be the perfect solution but I have lots of research still to do.